It’s My Body, Not Yours! If a trans friend or family member ever tells you that they have decided to start hormones or have surgery and it’s something you would never choose to do yourself, please remember that it has absolutely nothing to do with your appearance or body or gender identity, regardless of what your gender identity or expression is, regardless of whether you are cis or trans. 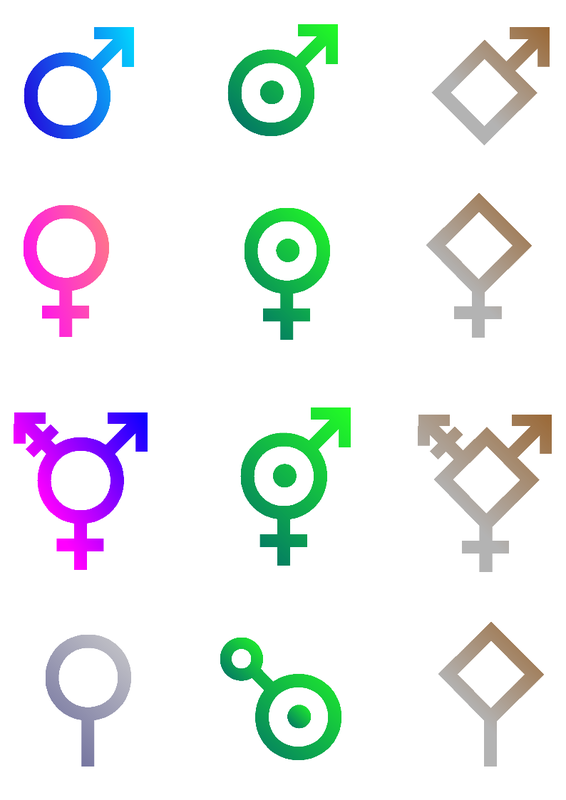 [Note: in my usage, cis means identifying as the gender assigned at birth and trans means identifying as a gender or genders other than the one assigned at birth, although others may define these terms differently]. The day I told my family I had started making plans for having top surgery (bilateral mastectomy), there were a lot of concerned faces around. People wanted to make sure I was making the right decision, that I wouldn’t regret it. My sister had a particularly strong reaction. She spent hours asking questions about whether I was sure, telling me stories about how she feels about her breasts (she very much likes having breasts), and giving me these long, sad, defeated looks. I finally got tired of it and called her out on it, suggesting that she be happy for me instead – I have access to a surgery that will help me feel more comfortable in my body and in the world, and honestly could save my life, as committing suicide was occasionally on the table as a way to end my discomfort – it was that extreme. It was a mind-blowing moment. I wasn’t talking about removing my sister’s breasts, so why was she!? Arguing about how it had nothing to do with her or anybody else’s breasts ensued, and we actually (I think) came to a good place of understanding by the end of that day. Others have voiced this kind of thought as “I could never do that” coupled with looks and comments of concern. As somebody who needed to do hormones and have top surgery to achieve psychological and emotional well being (and, yes, where indicated, these treatments are considered medically necessary by the AMA), I was terrified of having surgery and continue to be very unenthusiastic about giving myself shots. I certainly wished I didn’t have to have surgery to be comfortable in my body, I certainly tried to talk myself out of it, and I certainly had a rough road of accepting my need for surgery. It was made even harder by these kinds of reactions – people telling me they could never do this thing that I was terrified of doing but had to do anyway; people who enjoy having breasts assuming that I relate to my body in the same way that they do, not considering that the reason this procedure was necessary was exactly because I do not relate to my body in the same way that they do. I think people have a natural tendency to hear about what somebody else is doing and imagine themselves in that person’s shoes. I also think there are appropriate times and ways to talk about those thoughts. A friend is skydiving and you would be terrified to do that; a friend is traveling for a month and you hate traveling – by all means, tell them. You can talk about your different interests and fears, but make sure you’re not trying to talk them out of something that’s important to them or talking judgmentally about an activity that might be core to their identity. When it comes to health care, particularly with procedures that are frightening no matter what it’s for, like surgery, not making those kinds of comparisons is the polite thing to do. We do this all the time, quite easily. If somebody told you they are having surgery to remove a tumor that is greatly impacting their quality of life, it’s highly unlikely you would say, “I could never do that” because if you had that tumor and you needed that surgery in order to have a basic level of comfort, then you would probably do it. You might ask if they’re scared, and talk about how you would be scared. You might tell them that you’re happy this procedure is available. You might ask them how they feel about the surgeon who will be doing it. You might talk about what they’re looking forward to and the relief of having this condition taken care of. There are a lot compassionate ways we all respond to things like this. Why not extend the same compassion to those who are having surgery or taking medications for gender and/or transition related reasons? It’s often just as life saving, often just as scary or difficult (if not more because of social ramifications and usually no insurance coverage for the cost), and often just as much of a relief to have treatment. Please remember if somebody is having a procedure or taking medication that you would never need or want or would hate – it’s not about you, and it’s not happening to you. Set aside those thoughts and listen to your friend or family member’s experience with compassion and an open mind. *I have chosen not to attach my actual name to this article because, unfortunately, in some states (to which I might move some day) gender identity/expression is not protected from job and housing discrimination. Although I am mostly out in my life, I choose to remain anonymous on the internet when I am not in direct control over changing or deleting that information. *For more information about top surgery, other trans-related surgeries, and surgeons who serve trans clients, visit http://www.transbucket.com.